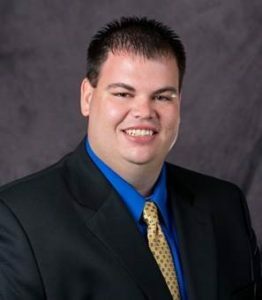 AMES, Iowa – America’s SBDC Iowa (SBDC) is pleased to announce that Michael Wampler, Regional Director of the Northwest Iowa SBDC, Spencer, has achieved certification in the Certified Business Advisor® (CBA) program. “Michael does a terrific job of serving clients in Northwest Iowa. His passion for business and serving as a connector for businesses starting or fine-tuning their operation is outstanding,” said Jolene Rogers, Executive Director of Community & Business Relations at Iowa Lakes Community College. Wampler has been counseling businesses in Buena Vista, Clay, Dickinson, Emmet, Kossuth, Lyon, O’Brien, Osceola, Palo Alto and Sioux counties since July 2017.